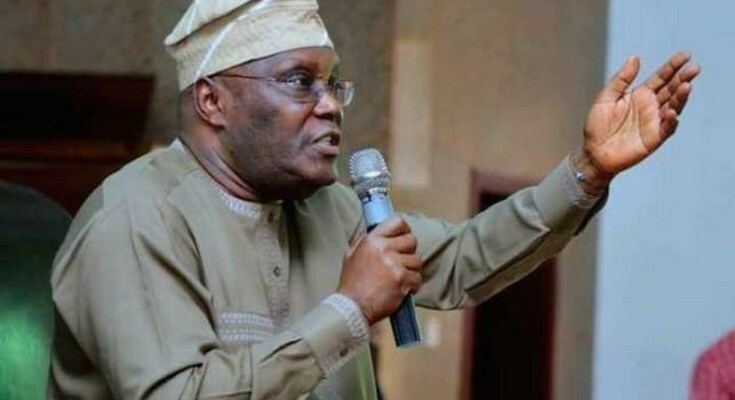 Hours after several crowdfunding accounts were set up for the People’s Democratic Party’s presidential candidate for the 2019 election, Alhaji Atiku Abubakar, his spokesman, Paul Ibe has said he is unaware of the accounts. Popular activist, Segun Awosanya, tweeted what he referred to as the “official GoFundMe link” for people interested in supporting the defense of Atiku’s mandate in a credible Court of Law. “Our Call to Action is therefore simple: to put our money where our votes went and deal a decisive blow against tyranny and rigging by donating freely to support the case against INEC and the ruling APC,” the fundraiser said. The account, tagged “Supporting Atiku’s Presidential Mandate”, was created on Tuesday and has since gotten 16 donations totalling $832 of $100,000 goal set for the mandate. However, a call to Ibe revealed that Abubakar himself is unaware of the crowdfunding accounts. “It is not us, it is not something that we set up,” said Ibe. “The candidate has not authorised this. However, if people think they need to do what they have to do in defense of democracy, I don’t think anybody is obliged to asking them not to do what they want to do as long as what they want to do is within the ambit of the law ” he added. Ibe continued that Abubakar is willing to work with the fundraisers just as they worked with good-willing people who are committed to democracy and the rule of law during their campaign. “We are (willing to work together with them). Since we started the campaign we have worked with men and women and youths of good will, people who want to change the situation we are in. People who are interested in ensuring that we get Nigeria working with the motive of creating jobs for the millions of the jobless, with the motive of creating opportunity, with the motive of changing the hopeless situation we are in. I think anybody that shares those values and visions, we are simply joining hands to achieve our aim. Abubakar lost his presidential ambition to the incumbent President Muhammadu Buhari of the All Progressives Congress. The country went to the polls a week later than planned on February 23. After the result of the poll was announced, Abubakar called the election a sham and rejected the result and said he will challenge it in court. Atiku and PDP filed the ex-Parte application before the Presidential election petition tribunal seated at the Court of Appeal in Abuja.